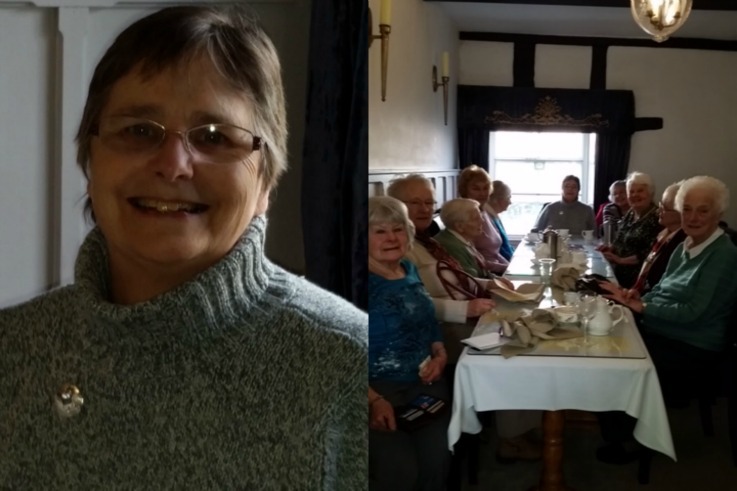 Newport Trefoil Guild went for afternoon tea at Smallwood Lodge in celebration of Marion’s recent Silver Fish Award. Marion was presented with the award, which is the highest award available in Girlguiding, at a surprise ceremony in December. (See news story here). 11 members of the Newport Trefoil Guild enjoyed the celebrations, and a lovely time was had by all.